We conducted a meta-analysis to summarize the evidence from prospective studies regarding the association between physical activity and breast cancer risk. A comprehensive search was conducted to identify eligible studies. The fixed or random effect model was used based on heterogeneity test. The dose–response relationship was assessed by restricted cubic spline model and multivariate random-effect meta-regression. Overall, 31 studies with 63,786 cases were included, and the combined relative risk (RR) with 95 % CI of breast cancer was 0.88 (0.85–0.91). 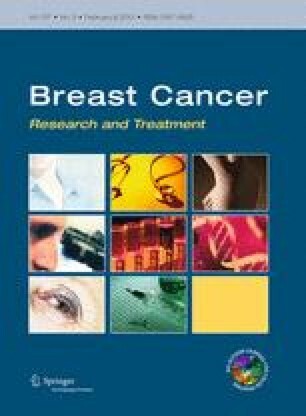 In subgroup analysis by activity type, data from 27 studies including 37,568 cases for non-occupational activity (including recreational activity and household activity) and seven studies including 28,268 cases for occupational activity were used, and the RR (95 % CI) of breast cancer was 0.87 (0.83–0.91) and 0.90 (0.83–0.97), respectively. The inverse association was consistent among all subgroups analyses. Stronger association was found for subjects with BMI <25 kg/m2 [0.72 (0.65–0.81)], premenopausal women [0.77 (0.72–0.84)], and estrogen and progesterone receptor-negative breast cancer [0.80 (0.73–0.87)]. Dose–response analysis suggested that the risk of breast cancer decreased by 2 % (P < 0.00) for every 25 metabolic equivalent (MET)-h/week increment in non-occupational physical activity, 3 % (P < 0.00) for every 10 MET-h/week (roughly equivalent to 4 h/week of walking in 2 miles/h or 1 h/week of running in 6 miles/h) increment in recreational activity, and 5 % (P < 0.00) for every 2 h/week increment in moderate plus vigorous recreational activity, respectively. Physical activity could significantly reduce the risk of breast cancer.